When it comes to building trust for your new store, the About Us page can be a game changer. Many small eCommerce businesses don’t give enough attention to this page which leaves customers in a dilemma. The fact that visitors voluntarily click on it is because they want to know more about you and are perhaps interested in buying your products. 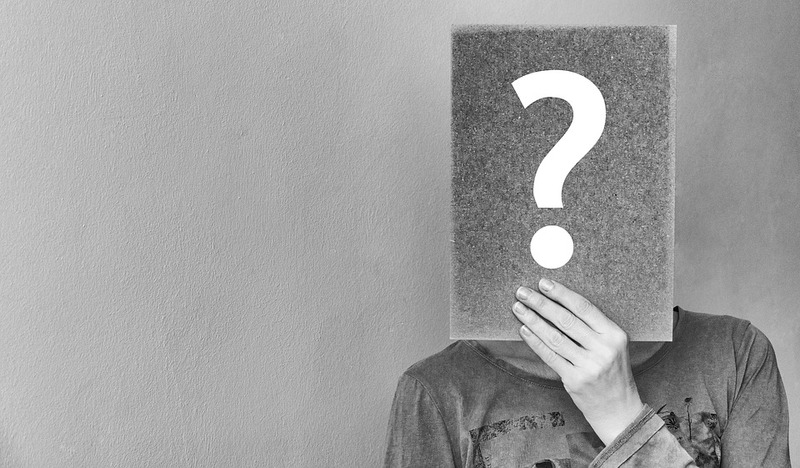 So, the About Us of eCommerce website page must include content that your customers are looking for so that it helps establish your identity and build trust. Whether you’re in the process of setting up your store or already having one with no or incomplete information about us page, it’s time to get it right. What’s the real purpose of an “About Us of eCommerce Website” page? 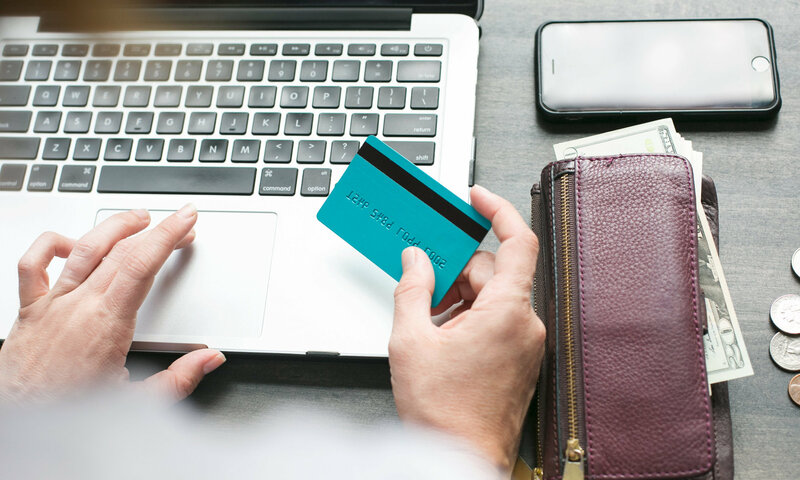 For many store owners, it’s just an obligatory link buried in the footer as an afterthought while for the rest it’s the first supporting page that’s likely to break the ice between them and their customers. You can’t expect a potential customer to buy your products without combing through it. So, particularly while starting off with zero trust factor, the About Us page forms a valuable online asset. The key to addressing all these questions is to build an engaging story. 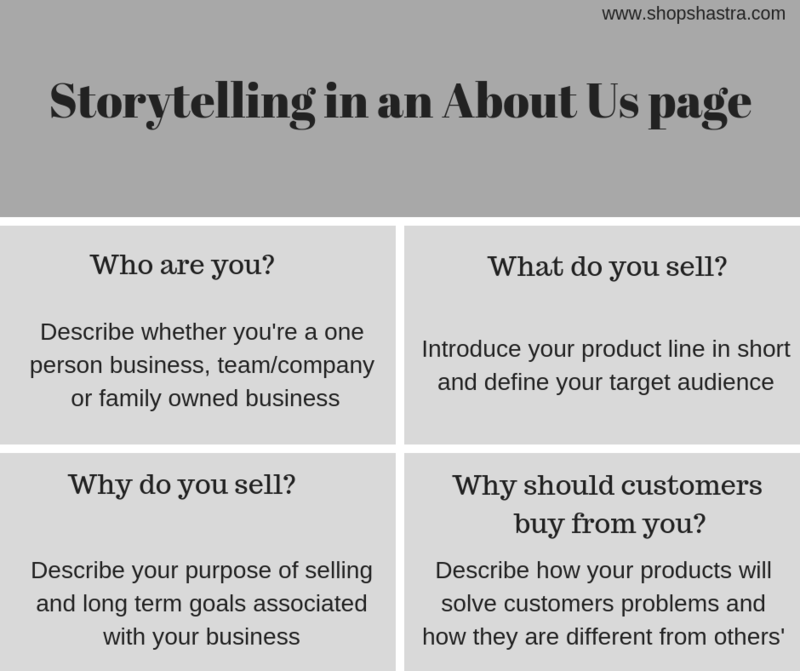 The best About Us page of ecommerce websites page will have storytelling that keeps the readers engaged. Whether you’re a one person business, a team, or a family-owned business, describe your story. For one person business (founder), keep your copy in the first person. Introduce yourself. Give a chance to your customers to know you personally. Adding a decent picture can be delightful. For companies and family businesses (representing the whole team), keep your copy in the second person. Since there’s a team, it’s not suitable to introduce each team member at length. You can introduce the founder and other important members of the company. Here’s an excellent opportunity to summarize your product portfolio. Don’t make it sound like a hard sell. Keep it simple. Describe your product portfolio in short along with who your target audience is. Begin this section by addressing your purpose of selling. Is it empathy? Or, you’re an expert in your industry selling best products making lives better and easier. Or, perhaps, your products are a better substitute for the existing ones in the market. Your purpose should be tied to your long term vision. How is your product solving your customers’ problems? Identify the pain points of your customers, and how are your products making your customers’ lives simpler and better. Your product should be the solution. You need to answer the much anticipated question- why customers should choose your products over your competitors’. You can address this by describing the unique selling proposition. It could be your quality, pricing, one of its kind product, and so on. The above pointers ensure a proper structure that builds up the entire story in the narrative form. These may just seem to have enough for your visitors to know about you. You can, however also include these optional elements in your page to make it rock solid. For businesses with teams of tens of fewer employees, it’s a good place to introduce each employee with entitlements. It puts a face to your brand, humanizes it, and also communicate company’s culture. Testimonials are a great way to build trust amongst cold buyers. For new businesses, it may take time to build some. When you start getting sales, ask your customers for testimonials/reviews. Make a list of all and filter them down to the 3 best testimonials to display on this page. The testimonials should describe the pain points of your customers and how your products solved their problem. Numbers represent a company’s growth and success, and therefore it builds trust and credibility. For small business particular, it’s a decision influencer. After all, numbers talk! You can display the number of orders received, or the number of happy customers, or revenue generated, or how much the company grew year on year. You can do a ton of more things such as adding a CTA button, personal e-mail address, and embedding links to your social accounts to make the about us page of eCommerce website more solid. With all that said and done, there are chances you may end up making a mistake(s) which can prove to be a spoiler of your story. When visitors land on this page, they are interested in knowing about you. So, making a hard sell here is a big no-no. Honesty is the best policy. You may not have achievements to display, or testimonials as social proof. That’s okay. Overcommitting or lying isn’t helping your business objectives in the long run. Some words offer no value to your sentences. Adding words like integrity, No. 1, fastest growing, honesty, using technology, innovation etc. don’t add value to your copy. It just makes your copy boring. You don’t want to sound like a robot. Keep it more like a human who’s trying to engage with visitors. Though your potential customers have shown interest in learning about your company, doesn’t mean you bore them to death with long paragraphs with your vision, mission, goals, etc. Keep your every paragraph no more than 3-4 sentences to ensure good readability. Also, use headers to distinguish each portion of the page. There’s no one size fits all for crafting an about us page for ecommerce website because it’s not possible to have all things in place. You may neither have a team, or achievements, nor testimonials to display. That’s not the point anyway. Keep it simple, real, and it should be you. Because that’s what makes your business different. By doing so, you will create some level of transparency, and establish your identity to your potential customers. In the course of time, as your business grows your story will keep getting better and so should your About Us page.